Similar observations apply to infrared (IR) films. No two emulsions are quite the same (genetic uniqueness), and even with the same emulsion, each photographer has a different regime for exposure, filtration, development, and printing (upbringing). 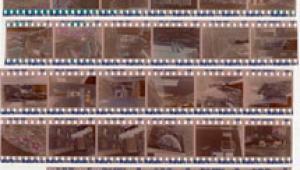 Pictorially, each film is unique, and different again from digital IR. 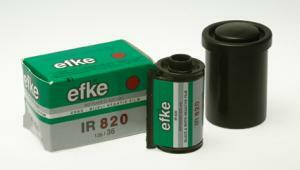 This is why Efke's 820 exists. The traditional heavy users of IR film--police, military, scientific--have mostly switched to digital imaging. 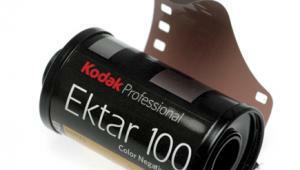 But a niche manufacturer like Efke can coat enough film to meet the demands of pictorial IR photographers, without having to worry about finding enough heavy users to fund huge coating runs. But what is its "signature," and how is this affected by the variables mentioned earlier? Well, I would call it a "gentle" film, at least for the kind of subjects I shot and the developer I used. It has neither the glaring contrast of some IR film/developer combinations nor the "dripping with light" effect associated with some others. Grain is reasonably clear-cut, and modest in size; sharpness, in common with most IR films, is fairly low. It is, however, very easy to underexpose. The amount of IR in sunlight is greatest a couple of hours either side of noon, and varies greatly with the angle of the sun: you will get very different effects with the sun behind you, with contre-jour shots (against the light), and with the sun at right angles to the camera-subject axis. 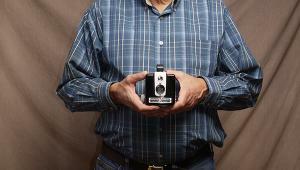 Exposure meters are of limited use, though some are much better than others. 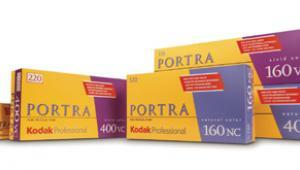 I had most success with a combination of "sunny 16" and experience: all right, guesswork. On a bright sunny day, near noon, I could just about get away with 1/15 sec at f/16, though 1/8 was significantly better and 1/4 was normally more than adequate. At a more convenient f/8 these translate to 1/60, 1/30, and 1/15. With the slightest cloud, or in the morning or late afternoon, another stop or even two was advisable. When bracketing, err always on the side of overexposure: your best guess, and a second exposure at two full stops more, should give you a usable image. In other words, this is not a fast film. In bright sun (seldom ideal for portraiture) you are looking at 1/30 at f/5.6 to f/8; in the shade, 1/15 at f/2.8 or even f/2 might be nearer the mark. Because the film is so slow, I tried only a few skin tone shots; for me, IR works best for landscapes and (especially) for old buildings. You may feel differently. Infrared focusing mark (the red dot and "R" between f/4 and f/5.6). Focus using the rangefinder, then transfer the focused distance to the IR focusing mark. 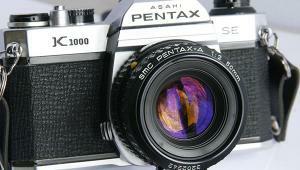 If you are using a reflex, you will need to focus with the filter off, or scale focus. This is a "true IR" film, sensitized to wavelengths completely invisible to the human eye. 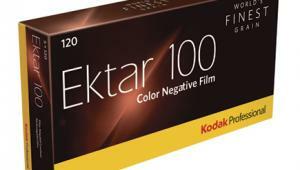 As the name suggests, it is sensitized a little beyond 800nm; for comparison, Kodak's High-Speed Infrared is sensitized almost to 900nm. 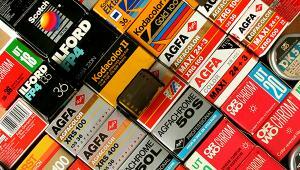 Such films need to be loaded into the camera in complete darkness: if there is enough light to see what you are doing, you will get more or less fogging. 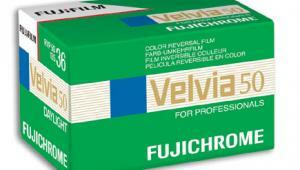 "Near IR" films, exemplified by Ilford's SFX, can be loaded by normally subdued light, but they are sensitized only out to 740-750nm, the approximate limit of sensitivity of the human eye. Loading in the dark can be a royal pain in the anatomy. I found it easiest to load two bodies in the darkroom at home, rather than using a changing bag in the field. Even then, three of the nine rolls I loaded in the dark had fogged leaders and some light strike through the cassette lips: not just the first few frames, either, but all through the film. 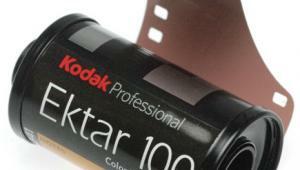 The clear (D=0.02) film base cannot help. Some camera options: an old Yashica FX-3 with an accessory finder for handheld use and a clip-on filter holder with an Ilford gel filter for speed of attachment and removal; a Leica M2 with a screw-in B+W IR filter (092); and a Konica IIIa with a cut-down Ilford gel filter taped behind the lens (where you can't see it and it can't be damaged). Because the light strike was only on some films, I suspect that it happened in my custody. 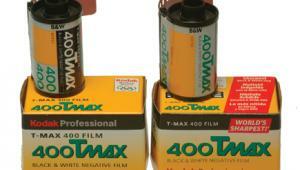 It may be that the black plastic film canisters are not fully opaque to IR, and should not be exposed to sunlight. In the future, I would wrap each canister in aluminum foil if I were taking it outside the house. Remember that you also have to unload the camera in complete darkness, never exposing the wound-off cassette to light either.